Microsoft delivers a solid update to is smartphone platform with Windows Phone 8.1. The new features are genuinely delightful and bring Windows Phone up to speed with Android and iOS ... almost. Here is Phone Scoop's full review. Microsoft promised to deliver Windows Phone 8.1 to most devices by summer. Believe us when we say: This is one update you're really going to want. The name "Windows Phone 8.1" suggest this is a minor update to Windows Phone 8. It's not. Microsoft added a lot of features to Windows Phone that provide users with instant gratification. The company also made tweaks under the hood that will really pay off further down the road. 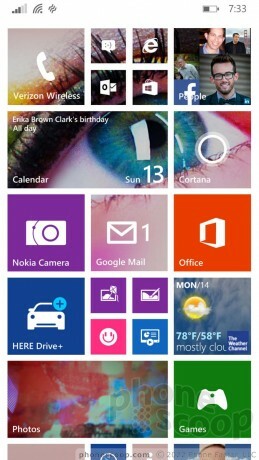 The basic look and feel of Windows Phone 8.1 is familiar, despite the advancements to usability and usefulness. Now more than ever, Microsoft's mobile operating system offers feature parity with Android and iOS. Unlike when it upgraded from Windows Phone 7.5 to Windows Phone 8, the jump from WP8 to WP8.1 won't break app compatibility. Also, it's being offered to all devices already running WP8. Microsoft has made a solid commitment to its customers. That's commendable, and goes further than what Google and its manufacturing partners are able to promise Android device owners. We've spent about a week putting Windows Phone 8.1 through its paces on a Nokia Lumia Icon. Here are our thoughts so far. Huawei today announced it flagship series for the year, the Mate 20 and Mate 20 Pro. The phones share a number of features, but have their own identity thanks to differences in the screen and chassis. I have to say, at first I thought this "Cortana" feature was just a gimmick to bring in HALO fanboys into the Windows Phone club. After reading this review I see that they actually put great thought into the development of the feature. I'm reading this as my phone finishes updating. I gotta say that the Word Flow keyboard is what I'm looking forward to most. It's the thing I miss most from Android. Does the camera crop off the top and bottom of the sensor's image in the preview? As in, doesn't the camera have a 4:3 sensor but displays a 16:9 image cutting off the top and bottom of the frame you'd get when you take a photo?